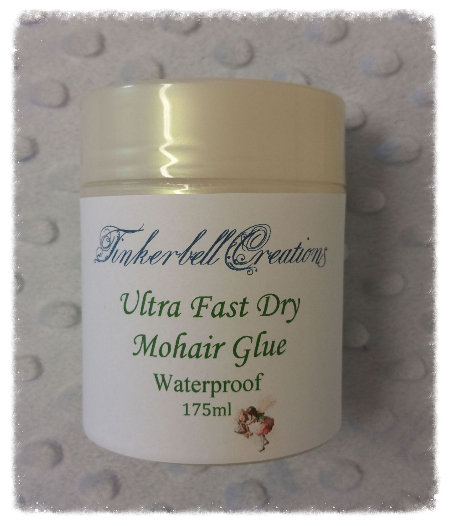 Brilliant for gluing the rooted Mohair on reborn baby dolls and other delicate items. Tinks Ultra Fast dry won't drag the hair like other glue can when your appyling, it also dries clear and flexible and is waterproof too so you can gently wash your babies hair. Comes in an easy to use tub. 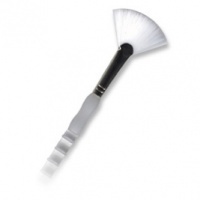 A long fan brush is recommended to apply the glue. 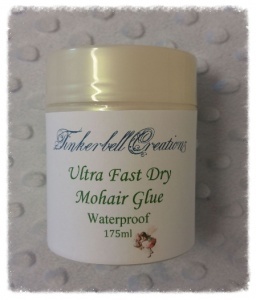 A very good glue for alpaca's hair and mohair's hair ! i really like the mohair glue.. It goes on so smooth and dries quick. I will be ordering this again.